Updated March 9, 2015: Mr. Morales has been located in good health. 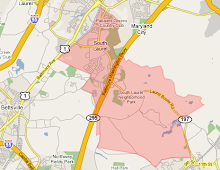 The Prince George’s County Police Department is seeking the public’s assistance in searching for a missing person. He is identified as 13-year-old Axel Morales. 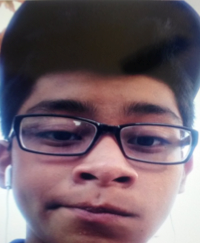 Morales was last seen in the 13900 block of Briarwood Drive in [South] Laurel on March 8, 2015, at about 12:30 am. Morales is described as a Hispanic male, 5’6”, 110 pounds, with short black hair and brown eyes. He was last seen wearing a gray sweatshirt, blue jeans, and purple shoes. Anyone with information on her whereabouts is asked to call the Prince George’s County Police Department’s Regional Investigation Division – Northern Region at (301) 937-0910.